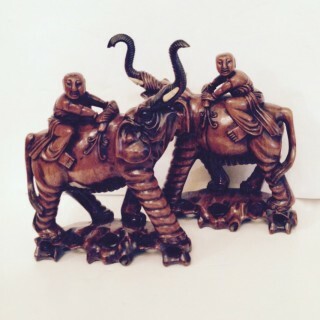 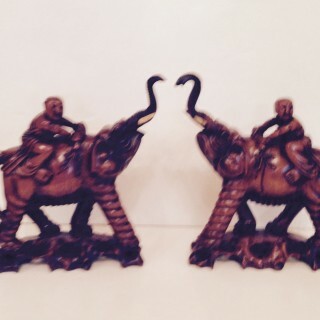 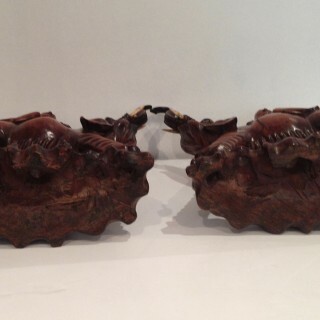 Chinese pair of facing carved Indian rosewood elephants with boys atop. 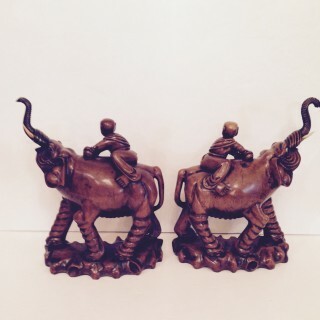 The eyes of the elephants are glass and the tusks are of bone. 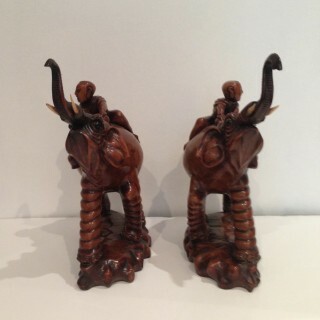 Pair of Chinese Export Elephants.